Halloween is just around the candy corn-er, my favorite time of year. The pumpkins are singing, skeletons are dancing, & candy is copiously eaten. 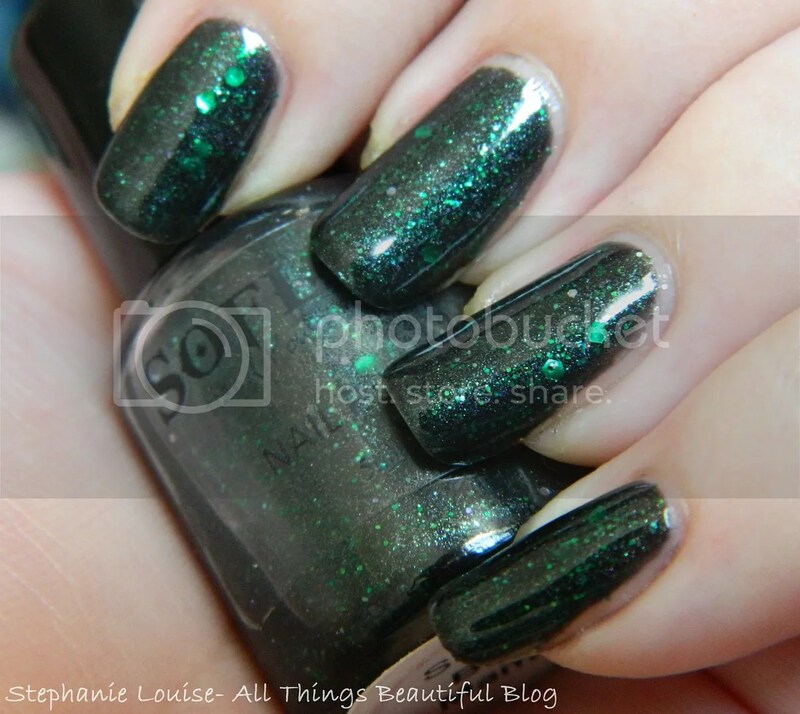 Black Mamba is from the “A Snake On the Hand Is Worth Two On The Toes” Halloween 2013 collection from SoFlaJo. This collection is based on slithering snakes which is a fun take! I keep thinking about the new season of American Horror story since one of the covens is from Louisiana & I imagine them rocking some eerie snakes. Okay, now onto the polish! 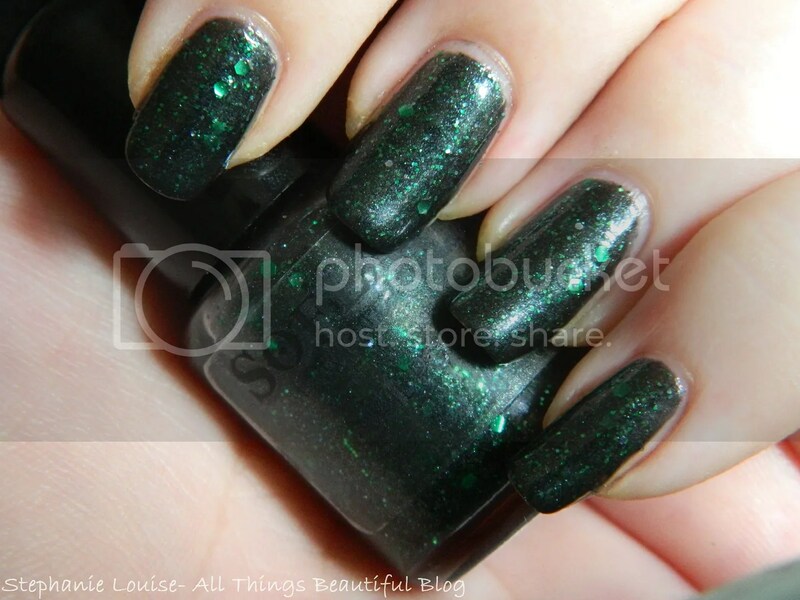 SoFlaJo Black Mamba- A black jelly base packed with emerald green medium & small hex glitter, shimmer, & scattered small holo hexes. 3 coats seen here but it was opaque in 2. With Butter LONDON Matte Finish Shine Free Topcoat. I’ve been really digging glitters matte lately & I think this time of year is the best for it. With Seche Vite topcoat. Glossy is probably my favorite for this polish, pretty right? The holos really come out to play. 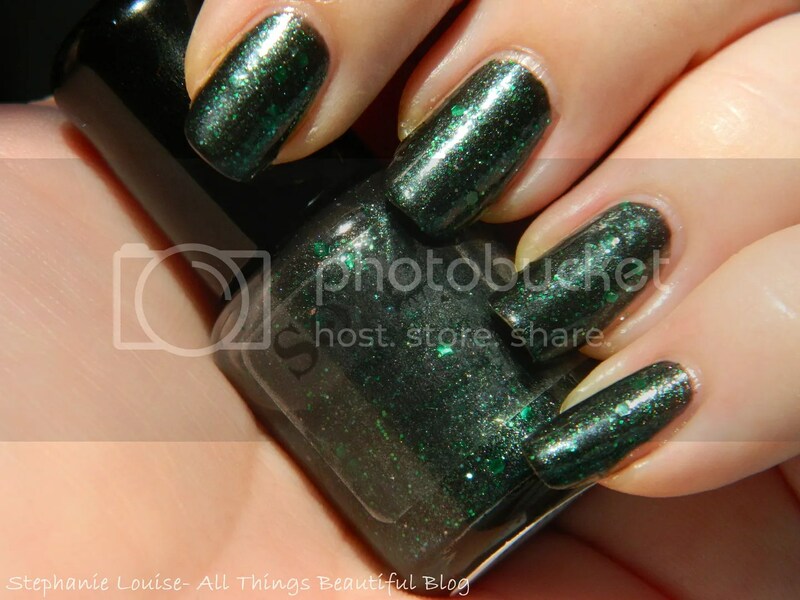 This shade & the rest of the collection can be purchased for $10 each .05/15ml full size wwwSoflaJo.com. This is a sample size bottle so the full sizes are much larger. The prices have changed on SoFlaJo as well! US shipping to a flat rate of $2 per order. And International shipping to a flat rate of $10 per order. These rates apply ONLY on the SoFlaJo site, not on etsy. What do you think of this shade? I think it feels very Halloween & definitely inspired by slithering, glistening snakes!